The TIE Fighter Corps is the Emperor's Hammer space fleet. It consists of a large fleet, thousands of pilots, and is commanded by the TIE Corps Commander (TCCOM), assisted by his executive officer, the Strategic Operations Officer (SOO), and the Combat Operations Officer (COO). 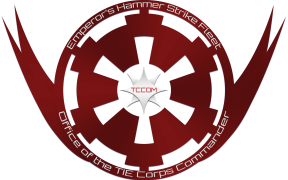 The TIE Corps Commander is in overall command of the TIE Corps, and answers to the Executive Officer and Fleet Commander of the Emperor's Hammer Strike Fleet. He bears the ultimate responsibility for the TIE Corps. Aside from keeping a close eye on the general state of the TIE Corps, the TIE Corps Commander is responsible for roster updates, and covering for the Strategic Operations Officer, Combat Operations Officer and the Dean of IWATS if they are on leave. The TIE Corps website also falls under his jurisdiction. 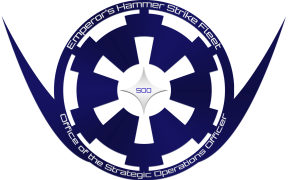 Although the Battle Center and all it entails (such as the Pilot Kill Board, Fleet Commander's Honour Guard, High Scores listings and new battles) are also in his duties, those duties are usually performed by the Emperor's Hammer Tactical Officer. 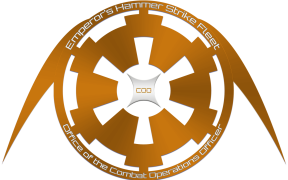 The TIE Corps Commander is also an Emperor's Hammer Group Commanding Officer. Moreover, the TIE Corps Commander should be the main contact for anything related to the TIE Corps for all non members, hence why an e-mail link is also provided. The current TIE Corps Commander is Fleet Admiral Pete Mitchell. The Strategic Operations Officer is primarily responsible for awarding the medals, approving uniforms and reviewing the ship/wing monthly evaluations from Commodores and Wing Commanders. The Strategic Operations Officer is also considered second in command of the TIE Corps and thus may be called the TIE Corps Executive Officer (TC-XO). In absence of the TIE Corps Commander, the Strategic Operations Officer is also the officer to contact for anything related to the TIE Corps for all non members. The current Strategic Operations Officer is Fleet Admiral Plif. 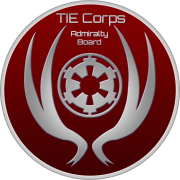 The Combat Operations Officer is in charge of all multiplayer activities throughout the TIE Corps and is responsible for organising multiplayer events both within the TIE Corps and with other outside organisations and clubs. The Combat Operations Officer's primary duties are coordination of multiplayer pilots, expanding multiplayer activities and approving multiplayer-oriented awards. The current Combat Operations Officer is Fleet Admiral Silvius.